During the worst economic crisis in a lifetime, the right financial decisions are crucial. 1. Don't try to predict the future. "We are currently in the midst of unprecedented and complex challenges," says Femi Shote of Asset Harvest Group in McLean, Va. Anyone who thinks he or she can predict what's going to happen is "delusional," Shote says. Financial advisers often hear from clients who would like to sell stocks now and then buy again when the market hits bottom. "My response is, 'How do you know when that will be?'" says Trent Porter of Priority Financial Planning in Fort Collins, Colo.
2. Do keep enough cash available. Even if you're not worried about losing your job, a rainy-day fund can provide peace of mind. There are different guidelines for how much cash to keep on hand. Some say $12,000 or more per adult; others say it should be six to nine months of living expenses. With extra cash available, you can avoid selling investments to pay for expenses in an emergency. Though the financial crisis started in the U.S., the past year has been worse for investments in the rest of the world. The MSCI EAFE, an index of international stocks, is down 43% this year, and stocks in emerging economies fared far worse. American investors who diversified abroad have also been pummeled by the rise in the U.S. dollar. Even after a year like that, advisers say it's not wise to abandon international investments entirely. For one thing, though some key overseas economies, like China's, have been hit hard lately, their long-term economic fundamentals look better than those of the U.S.
4. Don't try to pick one winning investment. Diversify. Putting all your money in one stock is dangerous at a time when a company's bankruptcy can completely wipe out the value of its shares. Robert Siegmann of Financial Management Group in Cincinnati advises clients to balance their portfolios between fixed income and stocks, with shares in various types of companies -- small and large, U.S. and international. "Don't try to pick the winning stock, or the winning idea. Just diversify across all investments and markets," he says. 5. Do think about energy efficiency. Russell Francis of Portland Financial Advisors in Beaverton, Ore., recommends that investors take advantage of a $500 federal residential energy tax credit that was rescinded in 2008 but returns in 2009. The credit can help cover the costs of adding insulation or replacing doors, windows, or furnaces -- home repairs that should also save you on heating and cooling costs. 6. Don't stop contributing to 401(k) and other retirement accounts. Says Sidney Blum of GreenLight Fee Only Advisors in Evanston, Ill.: "Everyone loves to invest in their 401(k) when the markets are flying high, but they should keep putting money in while the markets are down." He adds: "More money is made at the bottom of a market than at the top." Even more pessimistic planners say you should be taking advantage of any match your employer offers for retirement fund contributions. 7. Do live below your means. Save. Investing for the future is only possible if you have some money left over at the end of each month to sock away. View this BusinessWeek slide show for 25 ways to save more each month. 8. Don't make sudden moves. "Refrain from making extreme changes to the portfolio just because the financial markets are volatile," says William Howell, a financial adviser in Noblesville, Ind. "Stick to the overall investment game plan." In such an extreme environment, investment decisions based on emotion or fear are likely to lose you money. It's probably better to ignore the day-to-day news and follow a long-term investing plan. 9. Do pay off expensive debts. Rather than investing your money, you first might consider paying off debts, especially those with high rates or those for which interest is not tax-deductible. The avoidance of interest will likely save you more than your investments would have earned. Stanley F. Ehrlich, an adviser in Westfield, N.J., notes: "Paying off a car loan with 7% interest provides an immediate 7% return, a return that is not (currently) available through most asset classes." Credit-card debt is so expensive that most planners say it is always the first thing people should pay off. 10. Don't give up on stocks. "Historically some of the best periods for stock market returns have been during dismal economic times," says Paul Winter of Five Seasons Financial Planning in Salt Lake City. Though investors approaching retirement shouldn't risk too much money in volatile equity markets, investors hoping to build a nest egg for the long term have few better options than the stock market. 11. Do track your spending. "It's very easy to lose sight of where your funds are spent," says Alexandra Ollinger of Truepoint Capital in Cincinnati. G.M. Livingston III, a planner in Santa Rosa Beach, Fla., advises clients to buy software like Quicken to track their spending. "It's a universal mistake," Livingston says. "Most people don't know where their money goes." 12. Don't pay high management fees. It doesn't only matter how much your investments earn; it is also important how much you get to keep after trading costs and fees paid to financial advisers and fund managers. When market returns are small or nonexistent, even a 1% or 2% management fee can hurt. Decide if it's worth it. Also, check out offerings from traditionally low-cost fund companies like Vanguard, where the average mutual fund expense ratio is 0.2%. 13. 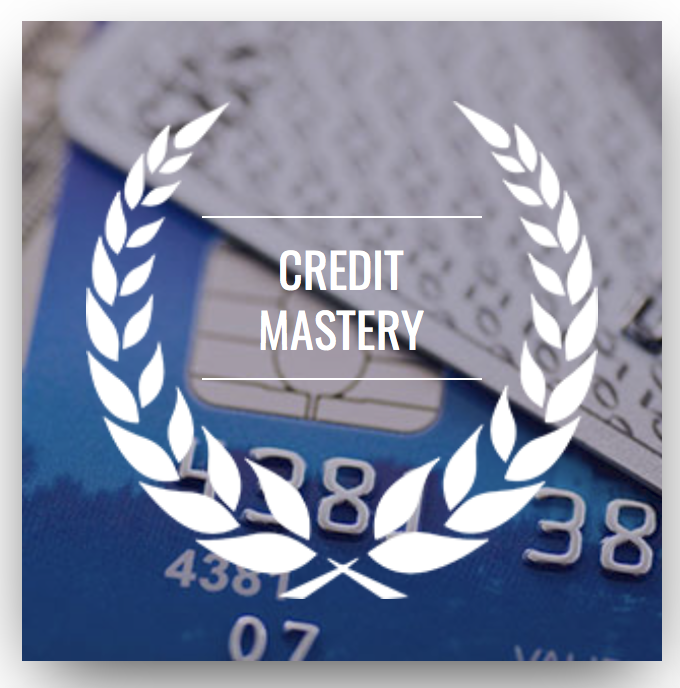 Do review your credit reports. With the Federal Reserve cutting the federal funds rate close to zero and policymakers eager to revive the housing market, mortgage rates are expected to drop substantially in 2009. That could be a great opportunity to refinance your mortgage, but only if you have a solid credit score. Check your credit report for any errors now, says Scott Beaudin of Pathway Financial Advisors in Burlington, Vt. "Fixing problems takes time and you don't want to be trying to fix your report while in the middle of a mortgage application," he says. The three U.S. consumer reporting agencies set up a Web site, to allow consumers to access a free copy of their credit report each year. 14. Don't follow the herd. "Be fearful when others are greedy, and be greedy when others are fearful," says legendary investor Warren Buffett. Warren Ward, an adviser in Columbus, Ind., agrees, advising his clients to ease back into stock or bond markets rather than seeking the safety of cash or Treasuries as many other investors are doing now. "Do your own thinking and don't allow yourself to be panicked into taking an action you'll regret," Ward says. 15. Do write down an investing plan and budget, and stick to them. A budget can help control spending and boost the amount of money you save each month. An investing plan takes the emotion out of your investing decision. "Investing systematically (is) especially (important) during market downturns," Ward says. 16. Don't forgo necessary insurance. You can save some money by increasing your car insurance deductible or forgoing life, disability or home insurance, but you could also be left penniless after a serious emergency. Full coverage isn't always necessary, but make sure you're protected in a worst-case scenario. 17. Do check out your financial adviser. The arrest of Bernard Madoff, who saw his $50 billion hedge fund collapse in an alleged Ponzi scheme, shows the danger of relying on one person -- whether a fund manager or a financial planner and adviser -- to handle your nest egg. Don't just pick a broker or planner out of the yellow pages. "Do your homework," says Eileen Freiburger of ESF Financial Planning Group in Manhattan Beach, Calif. Ask advisers about their qualifications, certifications, and educations, as well as their fees, ethics and disclosure policies. Look them up in online databases that track complaints against planners. The Financial Industry Regulatory Authority's BrokerCheck is a good place to start. 18. Don't invest in anything you don't understand. This financial crisis has demonstrated the dangers of too much complexity in the investing world. Investors lost big on asset-backed securities and other investments that in many cases they never really understood in the first place. If your adviser or broker can't adequately explain an investment in a few sentences, maybe it's not for you. 19. Do make sure safe investments are actually safe. J. Mark Joseph of Sentinel Wealth Management in Reston, Va., sticks with supersafe government debt for his clients' fixed-income investments. "Bonds are for safety, so make sure your bonds are safe," he says. "Just because something is a fixed-income investment does not mean it is safe." In case your bank or broker fails, make sure your bank accounts are covered by insurance from the Federal Deposit Insurance Corporation and your brokerage accounts by the Securities Investor Protection Corporation or supplemental insurance. 20. Don't take more risk than you can handle. Some investors will react to 2008's losses by trying to be more prudent and conservative in the future. Others, however, will try to win back their losses through bold, risky bets on the next big thing. That's happened in past downturns, says Elaine Scoggins of Merriman Berkman Next in Seattle. After the tech bubble burst, investors flocked to real estate. A classic mistake is "following one investing mistake by an even bigger one." The past year has given investors an idea of how bad market conditions can get. In the future, investors may want to evaluate how much risk they're really willing to take and how long they're willing to wait to get outsize returns.